This amazing expansion for the Starfinder Roleplaying Game allows your heroes to stake their claim as princes of the universe and suzerains of the stars! Star Empires brings you extensive rules for founding colonies of your own and expanding them to form an empire, with a flexible and modular system that applies to territorial expansion on a single planet to interstellar empires that span multiple systems. Build colonies from simple modules to sprawling metropolises, fine-tuning the balance of law and corruption, industry and culture, prosperity and popularity! Develop your own governmental ethos, exploring and expanding your domain and issuing edicts to manage your empire’s economy and stability while keeping your citizens loyal and productive. 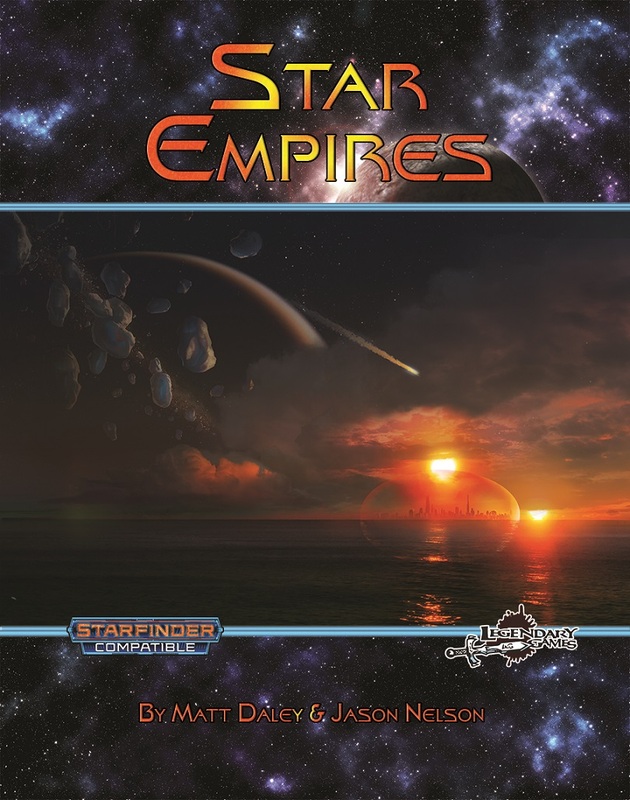 You can play with a simple, abstract system or use any number of optional rules to develop trade, diplomacy, and more, and Star Empires also includes a modular system for mass combat in a sci-fi setting, allowing you to build armies to defend your colonies from invading enemies or raise a mighty crusade to crush the resistance of any system in your path. Your heroes have explored new worlds, uncovered interplanetary conspiracies, and boldly gone where no one has gone before, but in between your adventures and endless weeks cruising the spaceways now they can return home to their shining capital to build their own sci-fi society, from conquering techno-legions to peaceful utopia! Grab this incredible 100-page Starfinder supplement today and Make Your Game Legendary!